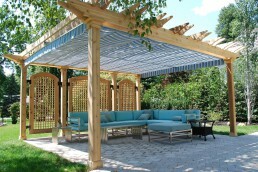 We get asked about fitting our canopies to arched pergolas all the time, and fortunately, ShadeFX is the only retractable canopy system we are aware of that can be arched to fit well. 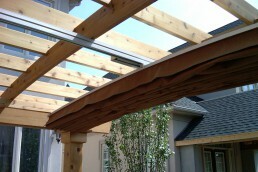 Most arched pergola kits come with a keystone bracket at the top of the arch. 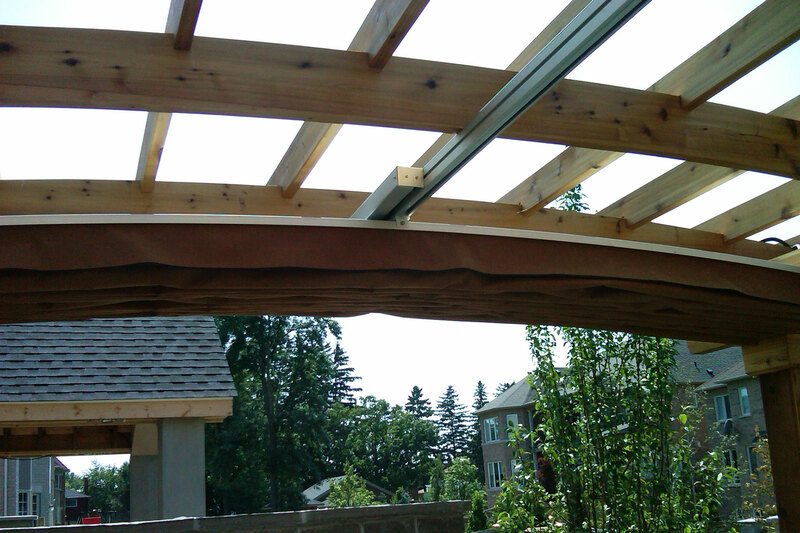 This feature fastens two half arches to make a full arch. 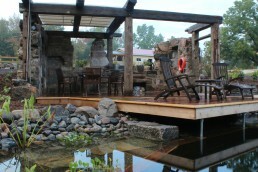 Unfortunately, this is a flawed design that makes a weak arch, but at a lower cost because it is in two pieces. 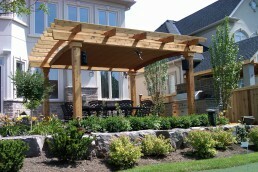 That’s what makes this pergola by Gerrick Carpentry special. 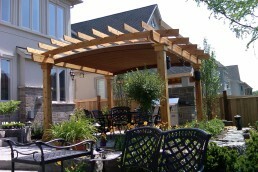 It is a no-compromise arched pergola made with single piece rafters. 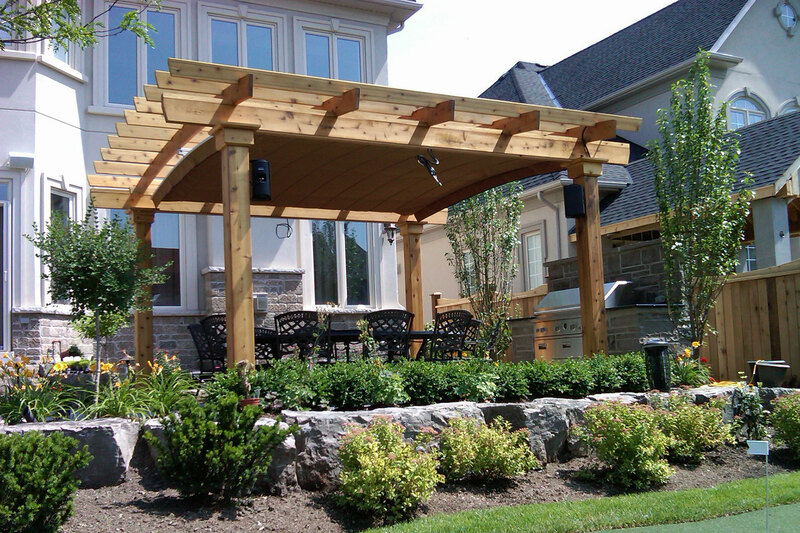 In the spirit of no compromise, the addition of a fitted arch canopy system, with remote control motor operation made this pergola truly the ultimate garden feature. 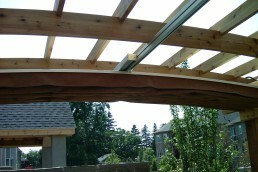 Notice the radius of the canopy is perfectly fitted to the radius of the pergola rafter arch. There is something you won’t notice in these pictures, the stabilizers. Gerrick located them inboard of the wingtips and made them look like the purlins above the rafters. You can see them, but they blend in so discreetly that you have to work to find them. Stabilizers are available as an option for all our canopies. Although they are available in anodized aluminum (same as the drive beam), most homeowners and designers prefer to use the same material as their pergola (cedar, vinyl, aluminum, PT), and in doing so make the stabilizers disappear among the rafters and purlins. 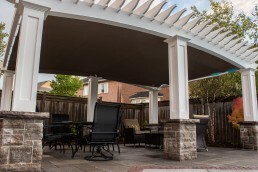 In the spirit of no compromise, the addition of a fitted arch canopy system, with remote control motor operation made this pergola the ultimate garden feature.